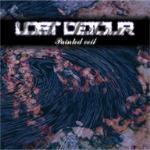 Since the fall 2003, a group from southern Finland has been making music under the title 'Lost Detour'. Colorful musical backgrounds, from jazz to deathmetal, creates the sound of Lost Detour. First release was Cause & Effect MCD (2004) followed by the most recent Painted veil MCD (2006). The band is currently working on new material for their upcoming debute album.